In a small village, in Southern Burgundy, not far from the medieval town of Cluny where the towers of the great Abbey reached to the sky, lived the heroine of this story. In the Middle Ages, life was a struggle for women. Labelled by the church as the ‘first sinners,’ they were compared by misogynous clergy to the devil. 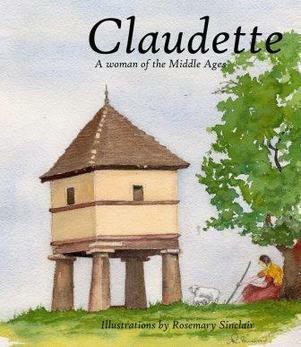 Claudette was born into an impoverished peasant family, often hungry and despairing. Her life and that of her family changed when she went to work at the château. Click here for more, or buy from Amazon or Book Depository. Also available in French​ - disponible en francais. 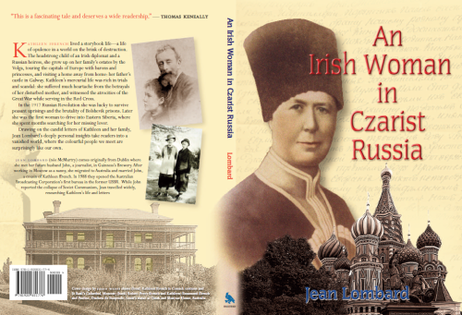 Kathleen ffrench lived a storybook life — a life of opulence in a world on the brink of destruction.The headstrong child of an Irish diplomat and a Russian heiress, she grew up on her family’s estates by the Volga, touring the capitals of Europe with barons and princesses, and visiting a home away from home: her father’s castle in Galway. Click here for more, or here to buy.